Sailing into Silver Lake, Ocracoke Island's picturesque little harbor, lifts the spirits and sets the tone for one of the most delightful experiences to be found on North Carolina's famed Outer Banks: a visit to a slow-paced coastal village and a welcoming historic inn. 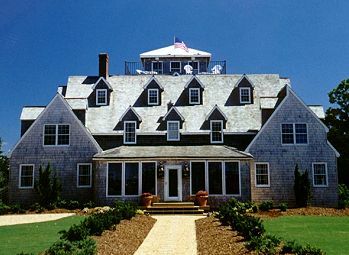 There at the southern end of Silver Lake, sits the Castle on Silver Lake, a grand old shingled structure that is a vision from New England's Nantucket Island. This and other North Carolina Bed and Breakfast Inns can be found here in The Register.